Waltham Forest has just the right combination of open space, forest, parks, reservoirs and urban areas. There has been Roman and Stone Age remains found across the borough and in the case of the Romans it’s been found it was an important and large area of settlement. The borough itself came to fruition in 1965. Most people live in the surrounding areas that we cater for, but we know with our job just how many people and how wide spread communities are in Waltham Forest because we’ve always travelling to them whether for business or pleasure. Art, culture and leisure are easy to find here. There are art galleries and exhibitions aplenty; the same is true of many musicians, whether rock bands or rappers, Iron Maiden in fact came together. Then there’s the Waltham Forest Theatre, a great local theatre. Unfortunately if you like films you probably know that Waltham Forest is one of only two boroughs in London without a cinema, if you can believe that. The Market is said to be, or rather claims to be, the longest street market on the entire continent. It takes up nearly all of Walthamstow High Street. 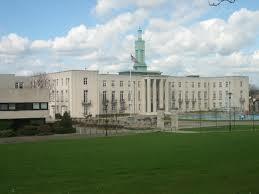 If you really want to feel the truth character of Waltham Forest this for ours is the play to see. It’s full of vibrance and character and has an absolute plethora of things on sale, from fruit and veg – a lot of which you can find in our hog roast menus – to fabrics and clothing. The Market is open Tuesday to Sunday and Sunday is probably the best day for fans of food, that’s when the farmers market is held. We know hog roast Waltham Forest food and people in Waltham Forest know this, it’s why our client list is growing in length by the day. We cater for everybody, from ‘regular Joes’ to world famous celebrities and politicians. The appreciation of a good hog roast isn’t restricted to anyone group, everyone enjoys it. We often cater at weddings, but we recently catered for a lovely couple who had decided to renew their vows 30 years on. We arrived at the house at midday and after an initial struggle, we finally managed to get the machine into the back garden. Picturesque surroundings made it the perfect location to roast a hog. 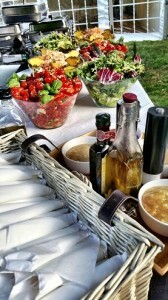 We began to prepare all the food before the guests had arrived. The aroma of the succulent hog roasting away hit the nostrils of everybody as they arrived. Served with a selection of salads and new potatoes in herb butter; the guests were able to come up to the serving table and choose exactly what they wanted on their plates. We watched on in the background the touching ceremony took place and were honour to be part of such a special day. The hog and spit roasts we make are good for an event of any kind. Size doesn’t matter to us, we’re not restricted by the usual lack of resources that some are. The chefs here are tremendously talented, their experience and skill is truly exceptional. So much so that even with one chef at your event, on their lonesome and without help, he or she can cook a hog roast for 200-300 people. Well, we’ll let your imagination do the rest of the work. Let’s just say that with only a small number of chefs and machines you can have our award winning hog roasts for an event with well over 1,000 guests. A party, a store opening, anniversary, christening, business function, they’re just a few of many events we cater a hog roast Waltham Forest for. That’s not forgetting the rest of our team, depending on your choice of menu we’ll send out a whole professional team, you can have the whole catering hog. From waiters to sit tables to an individual to be the front of house and meet, greet and direct your guests. 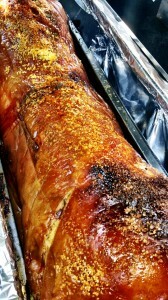 Hog roasting can be a catering service of extremes, be it really formal events or decidedly informal events. You needn’t worry about whether spit roast catering will fit your manner of event, because with our event management background and extensive menu selection, we provide a plan to fit your event. Anytime that we’re involved with an event it’s guaranteed to be a success. Nobody does it like we do. We always start as we mean to go on and that will become apparent when you get in touch to arrange the event catering, you’ll see that we genuinely care about your event and will help with the organisation if you need it. Even when it’s all said and done and the hog roast has been served to your guests, the team will still be working extra hard, making sure they’ve tided up properly and left the site how it was. The number of clients we have who were previously guests at an event we catered for, that says it all. If you enjoy the hog roast catering, and you will, you can come back and use Hog roast hire Waltham Forest service to get another, or if you’d prefer hiring a machine to booking catering then you can get your hog roast that way. Hog roast hire Waltham Forest can’t be bested, you can spit roast any meat and feed all of your friends, guests or customers.